But questions remain about the House action if the deal passes the Senate. WASHINGTON – President Obama and Senate leaders were on the verge of an agreement Friday that would let taxes rise on the wealthiest households while protecting the vast majority of Americans from historic tax increases due to hit in January. The development marked a breakthrough after weeks of paralysis. After meeting with Obama at the White House, Senate Majority Leader Harry Reid, D-Nev., and Minority Leader Mitch McConnell, R-Ky., said they would work through the weekend in hopes of drafting a “fiscal cliff” package they could present to their colleagues Sunday afternoon. As the Senate began haggling over critical details, the emerging deal faced an uncertain fate in the House, where Speaker John Boehner, R-Ohio, failed just one week ago to persuade his adamantly anti-tax caucus to let taxes rise even for millionaires. Still, on Friday, Obama pronounced himself “modestly optimistic” at a brief news conference at the White House. The ordinarily dour McConnell said he was “hopeful and optimistic.” And Reid immediately began preparing Senate Democrats for what could be a difficult vote. According to people briefed on the talks, the developing package would protect nearly 30 million taxpayers from paying the alternative minimum tax for the first time and keep unemployment benefits flowing to 2 million people who otherwise would be cut off in January. The deal also would likely halt a steep cut in Medicare reimbursements due to hit doctors in January and preserve popular tax breaks for both businesses and individuals, such as those for research and college tuition. But the two sides were still at odds over a crucial issue: how to define the wealthy. 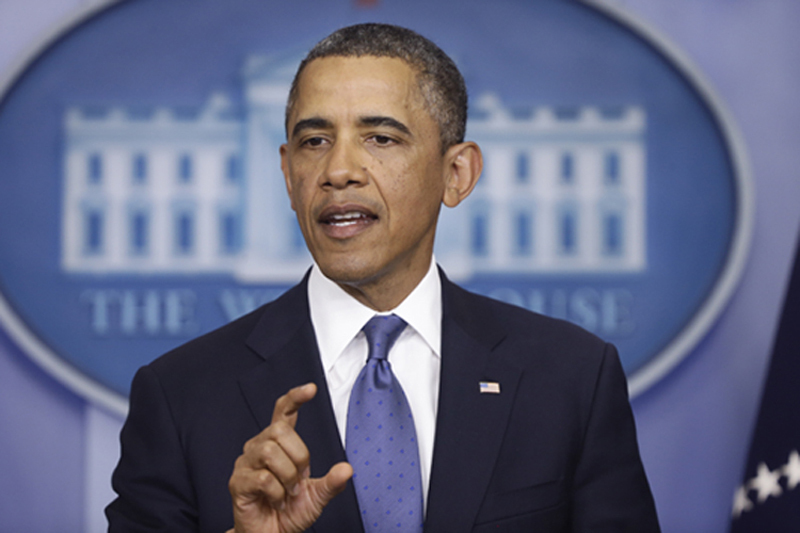 Obama has proposed letting tax rates rise on income over $250,000 a year. Senate Republicans have in recent days expressed interest in a compromise that would lift that threshold to $400,000 a year, an offer Obama made to Boehner before the speaker abruptly broke off negotiations last week. In addition to its political appeal, the $400,000 threshold has practical benefits, Republican aides said: It would limit tax increases to the top tax bracket rather than the top two brackets. And it would avoid a quirk of the tax code that would cause rates to rise more dramatically for those earning between $250,000 and $400,000 than for households with much larger incomes. The two sides also had yet to agree on another politically sensitive issue: how to tax inherited estates. Republicans — and many Senate Democrats from states with large family farms — want to maintain the current tax structure, which exempts estates worth up to $5 million and taxes those above that level at 35 percent. Obama has proposed a $3.5 million exemption and a tax rate of 45 percent, a proposal that is far more acceptable to liberal Democrats. There was also no agreement on how to handle roughly $100 billion in automatic spending cuts that are scheduled for the Pentagon and other federal departments in the fiscal year that ends in September. At the White House meeting, where Boehner and House Minority Leader Nancy Pelosi, D-Calif., joined Obama and the Senate leaders, Boehner insisted that House Republicans would refuse to delay or cancel the cuts, known as “sequestration,” without fresh spending cuts to replace them. Democrats would find that proposition hard to accept. Many Republicans are alarmed by the prospect of deep cuts to the military, which outgoing Defense Secretary Leon Panetta has said would be devastating to national security. Sen. John McCain, R-Ariz., said Friday that many Republicans would find it difficult to support a fiscal-cliff package that let the cuts take effect. Obama and Senate leaders have also concluded that time is too short to work on a package of significant cuts to federal health and retirement programs, the top priority of many Republicans. Without major changes to those programs, the deal will not include an agreement to raise the legal limit on government borrowing, setting up another fierce battle over the debt limit in the next two months. Threading all the legislative needles now falls to Reid and McConnell, who pledged to work together to craft a package that can win significant bipartisan support. If that effort fails, Obama said, he has asked Reid to press ahead with a bare-bones bill that would keep the president’s campaign promise to raise taxes on income over $250,000 and extend emergency unemployment benefits for the long-term unemployed. Either way, the wheels are now in motion for the Senate to vote on New Year’s Eve, Senate aides said. If that vote were successful, the Republican-controlled House would have mere hours to decide whether to approve the legislation or take the blame for letting taxes rise next month for nearly 90 percent of Americans — and for potentially sparking a new recession. Financial markets are already churning over the situation in Washington. On Wall Street, a week-long selloff continued Friday with investors growing increasingly pessimistic that Congress would take action to avoid the fiscal cliff. The Dow Jones industrial average dropped 158 points, or 1.2 percent. On Friday, Boehner offered few hints about how he will respond to the new flurry of activity. Since a humiliating House rejection last week of an alternative plan, Boehner has said it is the responsibility of the Senate to act. By New Year’s Eve, however, there would be no time before the year-end deadline for House amendments, which would require yet another vote in the Senate. Boehner would have a choice: Go over the fiscal cliff, or bring a bill to the floor that might win the support of a majority of Democrats and only a fraction of his own Republican caucus. Rank-and-file House members, who won’t return to the Capitol until Sunday evening, were anxiously awaiting word on the developments from afar. Many had hoped for a package that would cut trillions of dollars from the federal deficit, a goal that would not be met by the stripped-down package under construction in the Senate. But Rep. Steven LaTourette, R-Ohio, a close friend of Boehner’s, said he could offer his support for a limited deal if the speaker requested it.